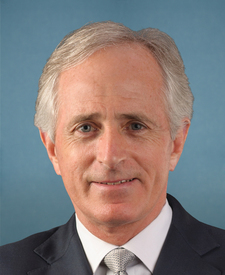 Compare the voting records of Bob Corker and Bill Nelson in 2017-18. Bob Corker and Bill Nelson are from different parties and disagreed on 51 percent of votes in the 115th Congress (2017-18). But they didn't always disagree. Out of 536 votes in the 115th Congress, they agreed on 261 votes, including 12 major votes. Nomination Confirmed by a margin of 9 votes. April 18, 2018 — A bill to amend the White Mountain Apache Tribe Water Rights Quantification Act of 2010 to clarify the use of amounts in the WMAT Settlement Fund. 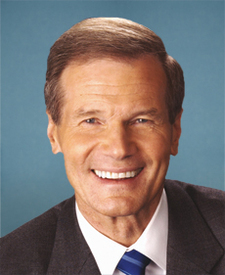 Feb. 8, 2018 — To amend the National Child Protection Act of 1993 to establish a voluntary national criminal history background check system and criminal history review program for certain individuals who, related to their employment, have access to children, the elderly, or individuals with disabilities, and for other purposes. Cloture Motion Rejected by a margin of 11 votes. Cloture Motion Agreed to by a margin of 42 votes. June 13, 2017 — A joint resolution relating to the disapproval of the proposed export to the Government of the Kingdom of Saudi Arabia of certain defense articles. Motion to Discharge Rejected by a margin of 6 votes.